Is Ghost Hunters ending? Yesterday, star Jason Hawes confirmed the series will leave Syfy at the end of season 11. Ghost Hunters follows Hawes and Grant Wilson, two paranormal investigators who explore allegedly haunted locations. The unscripted series premiered on Syfy in 2004. It doesn’t sound like the series is cancelled however. 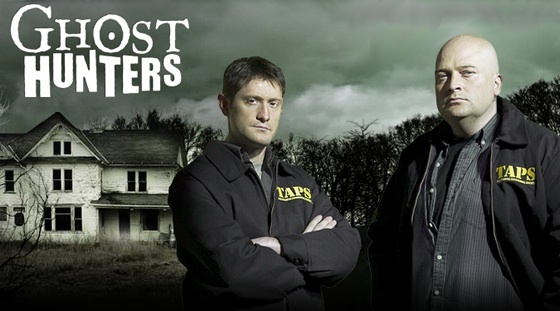 Hawes hinted at “huge things in the works.” Season 11 of Ghost Hunters is expected to premiere this fall on Syfy. What do you think? Do you watch Ghost Hunters? Are you sad it’s leaving Syfy? More about: Ghost Hunters, Ghost Hunters: canceled or renewed?, Syfy TV shows: canceled or renewed? Killjoys: Is the Syfy TV Series Cancelled or Renewed for Season Four? I really miss this show. It was the most intelligent and informative of its kind. There were no special effects or spooky music to interfere with the enjoyment of the adventure. Miss you guys soooo much. I miss Ghost Hunters Show !!! I enjoyed all the people and I enjoyed watching them hunt for ghost !!! I wish it would come back !!!! I always looked forward to watching them every week and especially during Halloween !!!! PLEASE, PLEASE, PLEASE !!!! BRING THE SHOW BACK AND ALL THE PEOPLE WHO WERE IN THE GROUP !!!!! I HATED IT WHEN GRANT LEFT THE SHOW ! GRANT WAS A BIG PART OF THE SHOW ALONG WITH JASON HAWES, STEVE, TANGO, AMY, AND ADAM !!!!! I miss you guys every Wednesday I look forward to watching your show it is an amazing true story and very educational I miss you so bad. please come back on a nother channel. these other ghost shows jut don’t stack up t you guys. I am also sad to see this show cancelled. There for awhile there were several ghost stories, and now, it seems like they are slowly disappearing. I watched every ghost show there was. Please return, even on another channel. I was a fan and was hoping things could get resolved and keep the show going. I like it more that the new shows out there now and would happy to see them return. If Jason and Grant are finished it would be nice to see Steve Gonsalves and Dave Tango step in. They really grew on me and my wife. I guess I’m saying we miss them.